Quickly and easily send photos wirelessly from your Wi-Fi & NFC enabled COOLPIX S3700 to a compatible smartphone or tablet± using the Wireless Mobile Utility app. Share your great photos on the go, even in remote locations, or use a smartphone or tablet to control your camera. Have fun with your shots! Turn everything black and white except a red hat with Selective Color. Give a scene an antique look with Nostalgic Sepia and much more. Image Effects makes it easy to create exciting images without any additional software. It's frustrating when a smartphone camera focuses on the wrong thing. With the COOLPIX S3700, Target Finding AF quickly determines your intended subject and puts the focus where it belongs—on your subject. 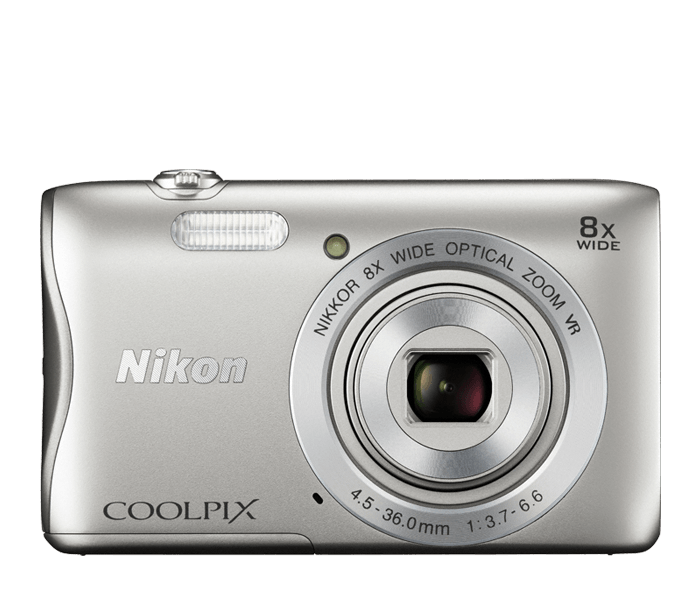 With minimal buttons and dials, a large high-resolution LCD display and excellent build quality, the COOLPIX S3700 is a highly portable performer.